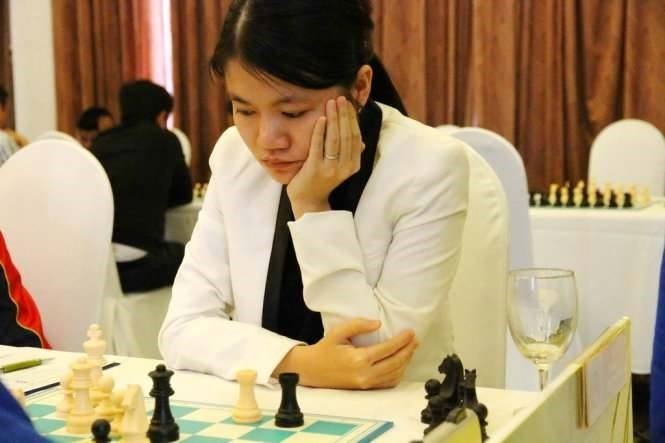 HÀ NỘI — The top three places still belong to Việt Nam after round five of the Asian Continental Chess Championships’ Women’s Category yesterday in China. Vietnamese International Master (IM) Phạm Lê Thảo Nguyên received a draw against her teammate Women’s Grandmaster Võ Thị Kim Phụng. The result was enough to keep No 7 Nguyên in the leading position while it pushed Phụng from No 2 to No 3 in the ranking. WGM Hoàng Thị Bảo Trâm jumped from No 6 to No 2 after beating WGM Gomes Mary Ann of India yesterday. Nguyên will next face WGM Nakhbayeva Guliskhan of Kazakhstan. Phụng will meet Trâm. On the men’s side, Vietnamese masters fail to enter top 10. Among five representatives only brothers Trấn Tuấn Minh and Trần Minh Thắng won yesterday. Minh is at No 20 while Thắng at 54.